Why follow private english ski school lessons at Megeve French Alps ? 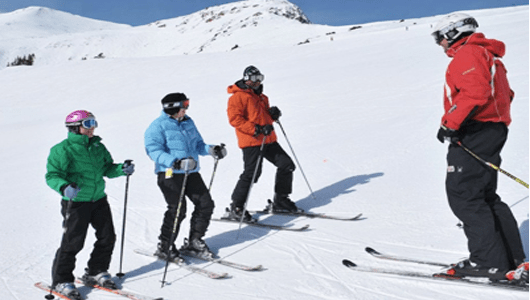 The Certified Skiing Instructors and Guides are fluent bilingual English and French and trilingual English, French, Italian or German or Spanish. They gathered over 10 years of teaching experience at french, italian, american and british ski schools. If your fancy is to ski the ski runs and discover the various ski areas that Megeve offers we will show you the way. If you would like to try Snowboarding we can show you how. Off Piste is your thing; we can find the best spots to do so. 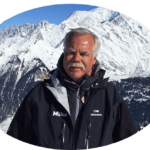 If you would like to do the world famous Valley Blanche in Chamonix we have the Guides to do so in safety and can select the necessary equipment. 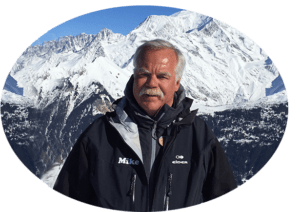 You may also want to do a “day trip” from Megeve to the Italian Alps and ski Courmayeur and or Cervinia and we can also ski into Zermatt the Swiss Alps. Its all very close by and we can happily take you there. We Love Giving Private Ski Sckool Lessons to Children, it’s So Much Fun ! 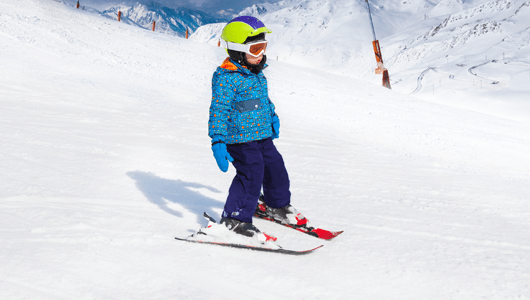 We give private english ski school lessons to all ages and levels from as young as 3 years of age to 90 years of age. We are the only ones that offer trying with children that are 2 and half years old, in most cases it’s just an introduction to sliding and yet some can get it quickly at that age. It’s all a question of motor skills and endurance for the very young. This experience as with all young children needs to be done on nice sunny days and short periods of time. We structure our ski school lessons from 0900 to 1300 and or 1330 to 1700 or “All Day” we are happy to have you divide/share these blocks of time between various members of you family and or friends, this allows you to get the best results for everyone that have a different level of ability or who prefer to be alone in their lesson. 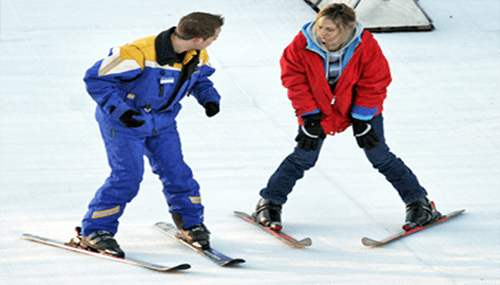 Our Private ski school lessons are the best solution to maximize you and your families ski experience. It is our sincere belief that the “one on one” attention is especially important for children and individuals who are hesitant or have had a previous “unsatisfactory” experience. Safety is of course our primary concern all the while making sure that one and all have a fun and a wonderful experience that you and your family will cherish and never forget. Yes there is always a cost factor to take into consideration in taking Private Skiing Lessons however the return on investment is well worth the cost as the progression in skills and ability far surpasses the “group lesson” alternative. We at SkiProsMegeve highly recommend this choice wich is far better than american or british ski school lessons with a group, especially for the young ones.